The Savannah Arts Academy Chorus has been invited to perform in the 2018 Iceland Festival at Harpa Hall from April 5 – 9, 2018. 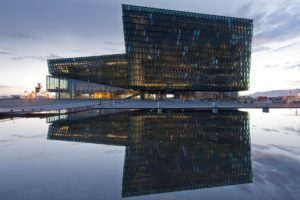 Harpa Reykjavik Concert Hall and Conference Centre offers the best facilities for concerts and conferences in Northern Europe. Harpa has received numerous awards and prizes. 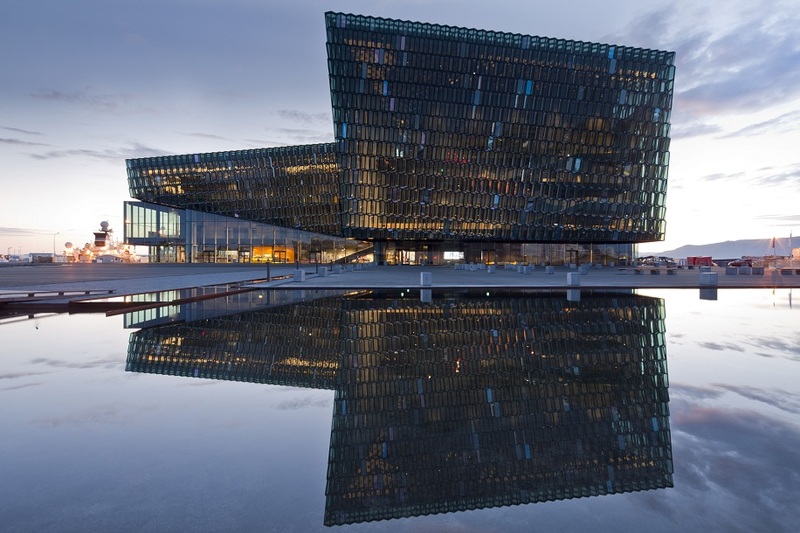 Harpa was chosen one of the best concert halls of the new millennium by the prestigious music magazine Gramophone, and was chosen the best performance venue in 2011 by Travel & Leisure magazine. Reykjavík is the capital and largest city of Iceland. It is located in southwestern Iceland, on the southern shore of Faxa Bay. It is the heart of Iceland’s cultural, economic and governmental activity. Reykjavík is believed to be the location of the first permanent settlement in Iceland, established in AD 874. Until the 19th century, there was no urban development in the city location. The city was founded in 1786 as an official trading town and grew steadily over the next decades, as it transformed into a regional and later national center of commerce, population, and governmental activities. It is among the cleanest, greenest, and safest cities in the world. While in Iceland, students will perform, visit geysers, waterfalls, mineral springs, museums and much more. Learn more about the tour specifics here. SAA has chosen WorldStrides to be their tour organizer. For 50 years, WorldStrides has created educational travel opportunities designed to expand travelers’ understanding of the world. They have extensive knowledge, deep resources, and the educational vision to provide the most fulfilling travel experience. With 50 years of experience, they’ve taken over 7 million students on educational trips – over 400,000 students traveled with them last year alone! They partner with more than 10,000 K-12 schools and 500 colleges and universities, including the top 30 MBA programs. WorldStrides has long-standing relationships with the best vendors, venues, and transportation providers, as well as partner relationships with global businesses in 100+ countries around the world. When it comes to student travel, they’ve seen it all (and handled it all). They’ll carefully manage every detail of this trip with efficiency and diplomacy. We do not have an exact itinerary yet but will provide information as we receive it. Airline and hotel information is typically not provided until very close to the trip. This trip is open to all choral students, including 2017/2018 Freshmen. Registration for the trip requires completing several forms and submitting the $100 deposit to SAA Choral Boosters. All required forms must be completed and submitted, including the field trip permission forms required by Savannah Arts Academy and SCCPSS. Contact the Boosters for details. The cost of this trip does not include the cost of acquiring/renewing a passport. The U.S. State Department recommends that your passport be valid for at least 6 months after returning to the U.S. so your passport must be good through at least October 10, 2018. In addition, you must have 2 or more blank pages in your passport (for entry stamps) or you may not be allowed into a country. The SAA Choral Boosters will ask everyone to provide a copy of the picture page of the passport by October 1, 2017 to ensure that everyone has a valid passport for travel. Acquiring a passport for a minor can be a bit complicated as both parents have to be present or present additional documentation before a passport will be issued. The SAA Choral Boosters has contacted the US Post Office to arrange for scheduled appointments for those traveling with our group to make the process a little easier. More information on the passport requirements and appointments will be provided separately or can be found at the US State Department’s webpage at www.state.gov. We want to travel light, and will have a more detailed packing list closer to the trip. The cost of the trip does not cover baggage fees charged by airlines. These fees can vary by airline and change at any time. Generally, we find that for international flights, airlines may allow 1 bag free and charge a fee for the 2nd bag. In addition, if the bag is overweight, the airlines will generally charge a fee. As we get closer to our departure date and find out what airline we will be traveling on, we will find out what the airline’s fees are and communicate this information. This is a non-refundable monetary commitment. All payments must be made on time and in full. Failure to do so will result in your student being dropped from the tour roster WITH NO REFUND. The one exception is if your cancellation is covered by the travel insurance policy. Contact World Strides and/or the travel insurance company as appropriate for information. This is a commitment to the music. Your student will be required to learn the music and participate in extra rehearsals outside of school hours. Failure to attend rehearsals and learn the music may result in your student being dropped from the roster WITH NO REFUND even if the trip has been fully paid for. This is a commitment to the conduct policy. That of Savannah-Chatham School Board, Savannah Arts Academy (including the Choral Department), the Iceland Festival and World Strides both before and during the trip. In addition, students must follow all instructions from school personnel, chaperones, World Strides personnel, and Iceland Festival personnel, etc. Violations of any of these policies may result in your student being dropped from the trip roster WITH NO REFUND. If a violation occurs during the trip, the student may be sent home early AT YOUR EXPENSE. This is a commitment to traveling with the Chorus, not friends and family, although we’re excited to see you cheering us on! Students will not be allowed to separate from the group for any reason, at any time.